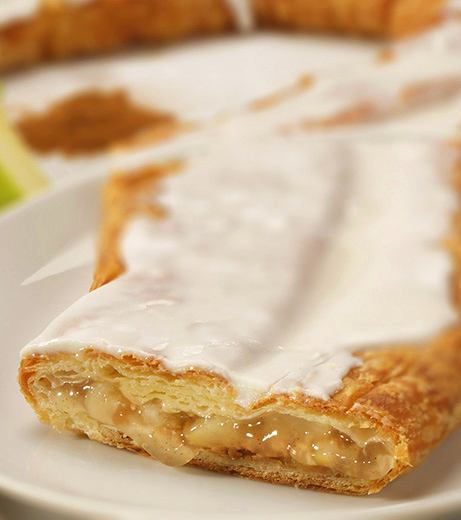 Better than apple pie! 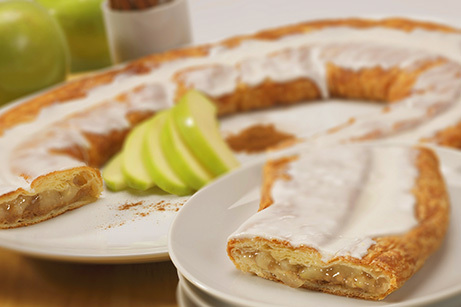 Our Apple-Cinnamon Kringle is made with tart, granny smith apples and a hint of cinnamon spice, baked in a flaky pastry, and topped with a sweet vanilla icing. 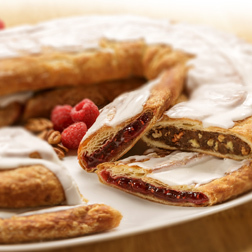 Great for breakfast, brunch, or dessert.